BILLIONAIRE ERIC SPROTT BUYS 20% OF ONE OF THE HIGHEST GRADE SILVER PRODUCERS IN THE WORLD! 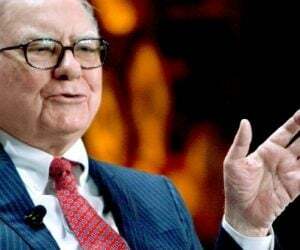 Sprott is a multi-billionaire investor and industry leader who has become legendary for his ability to create enormous wealth for himself and those who follow him. In this remarkable interview Sprott discusses skyrocketing silver as well as his top silver pick and much more. Billionaire Eric Sprott has purchased a 20% stake in one of the most exciting silver plays in the world – Excellon Resources! 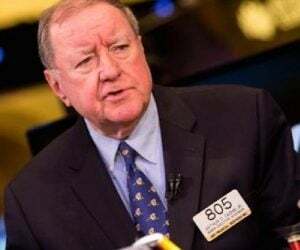 The company has the highest grade silver mine in all of Mexico and is poised to double silver production and expand the size of its silver discovery 10 – 15 fold! Listen to the audio with billionaire Eric Sprott to learn more! Symbol EXN on the TSX and EXLLF in the US. CONTACT THE COMPANY DIRECTLY to get more information by calling (844)396-7770 or email [email protected]. Backed by a strong board of Company builders and financiers: The Company’s board of directors includes many well-known industry leaders including Ned Goodman. 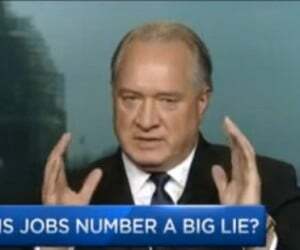 Eric Sprott owns 20% of the Company. 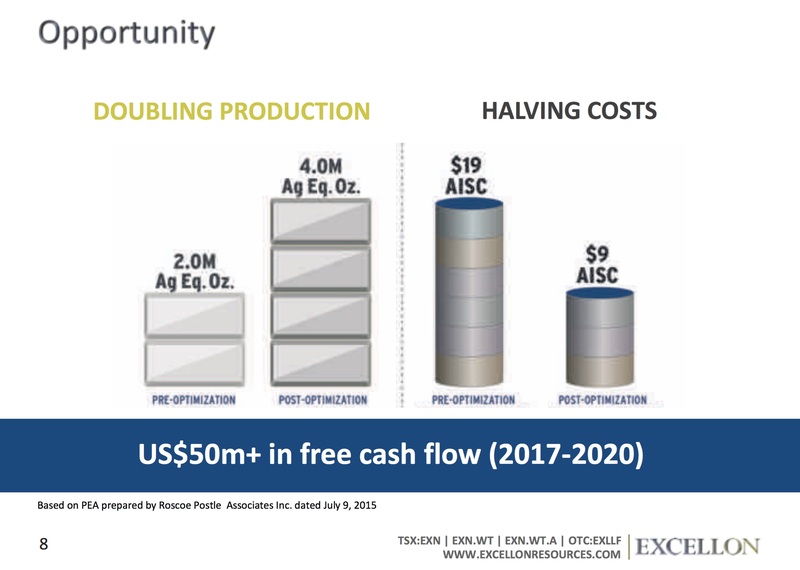 EXCELLON RESOURCES INC. is 100%-owned La Platosa Mine in Durango is Mexico’s highest grade silver mine, with lead and zinc by-products making it historically one of the lowest cash cost silver mines in the country. The Company has been in production for over a decade with nearly 600,000 tonnes mined from Platosa at grades of almost one kilo per tonne silver. 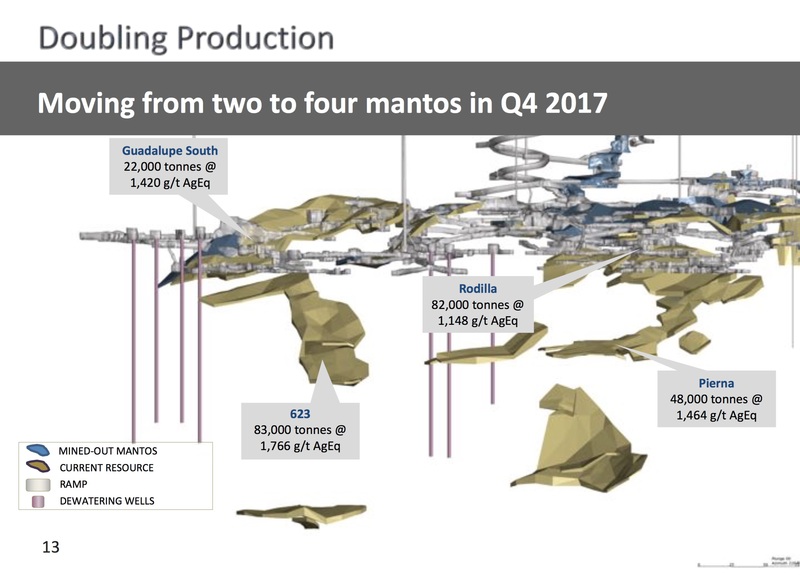 Current resources extend to 2021, with silver equivalent resource grades of over 1,200 g/t. 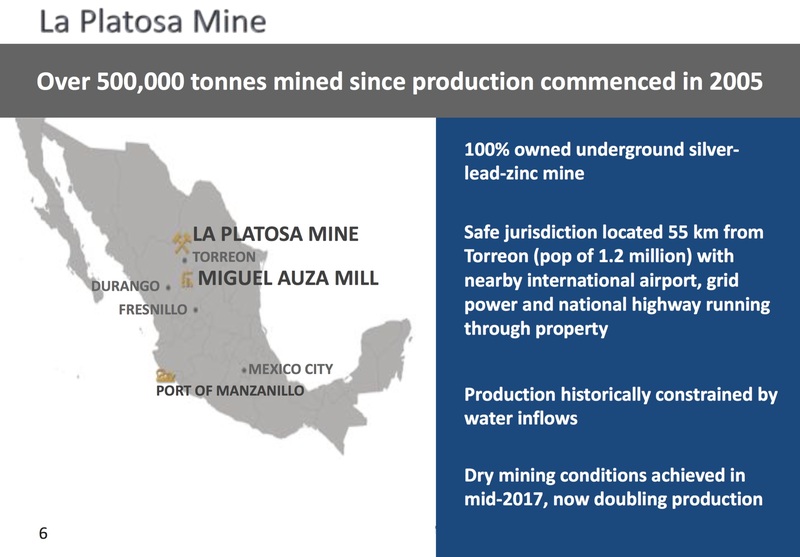 The Company is positioning itself to capitalize on undervalued projects by focusing on increasing La Platosa’s profitable silver production and near-term mineable resources. 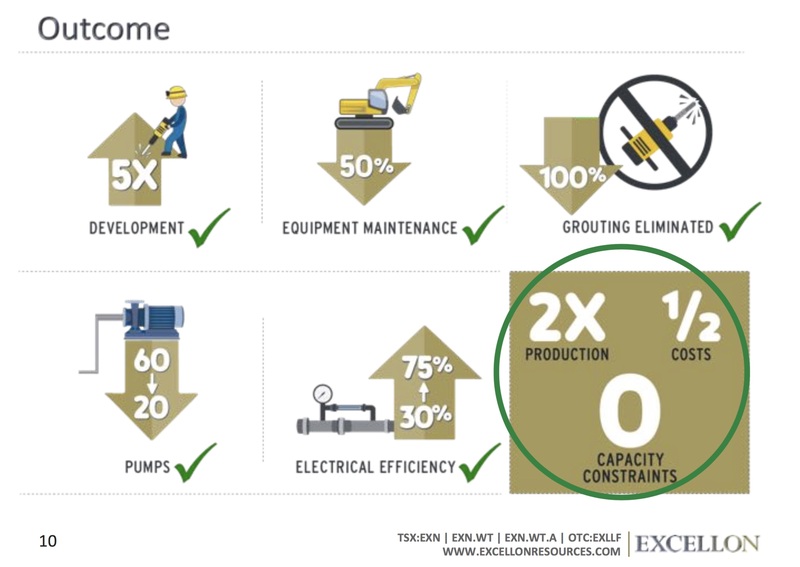 Excellon’s 100%-owned La Platosa Mine in Durango is Mexico’s highest grade silver mine, with lead and zinc by-products making it historically one of the lowest cash cost silver mines in the country. The Company has been in production for over a decade with nearly 600,000 tonnes mined from Platosa at grades of almost one kilo per tonne silver. 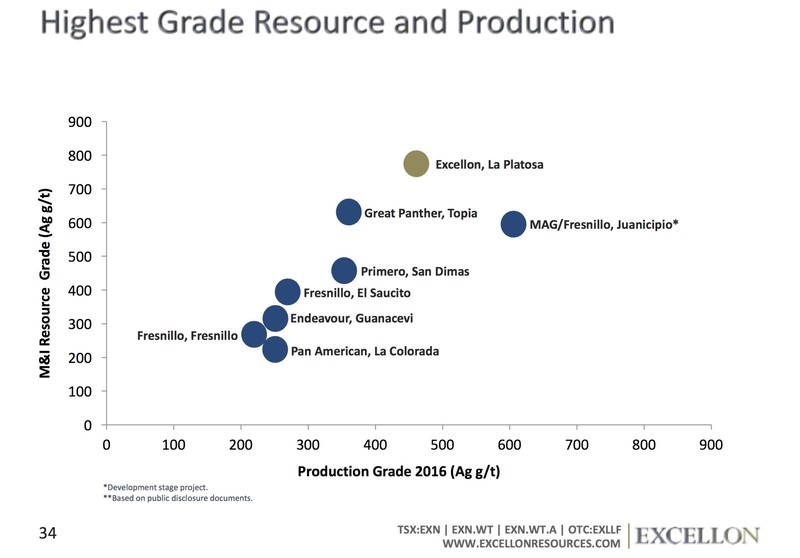 Current resources extend to 2021, with silver equivalent resource grades of over 1,200 g/t. 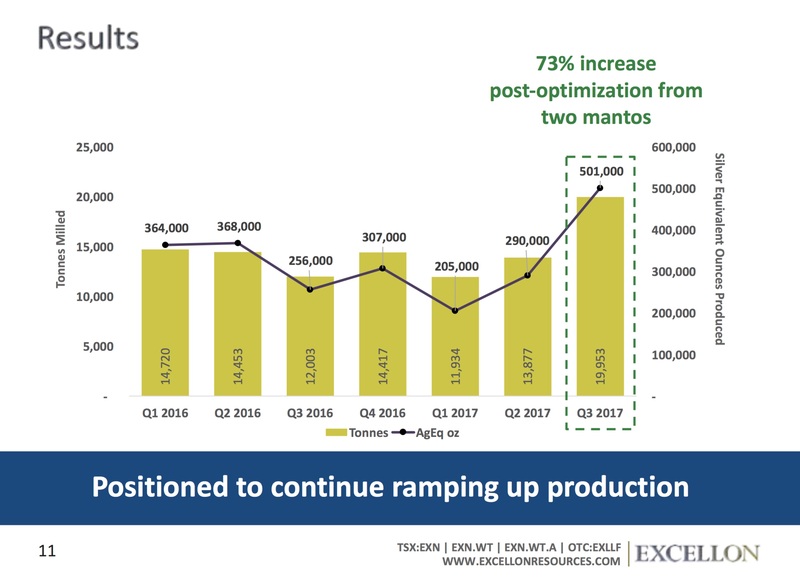 The Company is positioning itself to capitalize on undervalued projects by focusing on increasing La Platosa’s profitable silver production and near-term mineable resources. 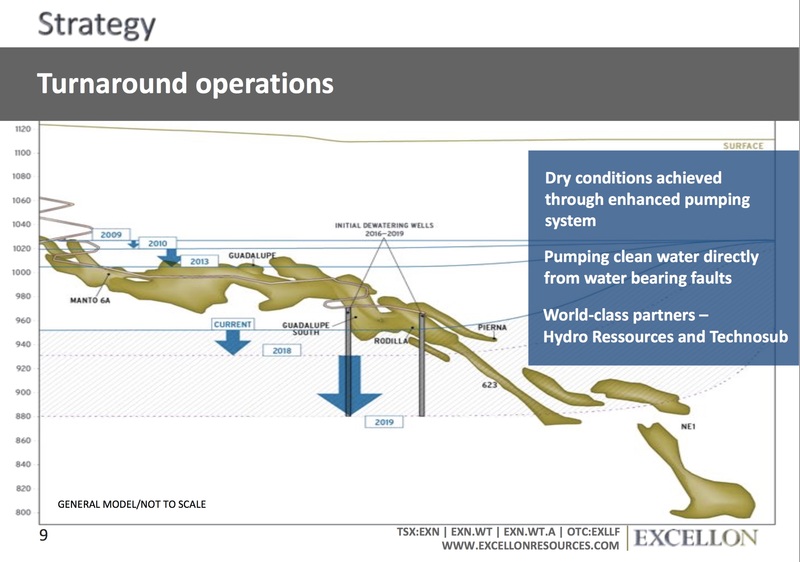 The company is currently implementing a simple strategy to turn around operations by executing a mine optimization plan that is expected to double production and halve costs. With 21,000 hectares of exploration ground surrounding the mine, Excellon is conducting a fully financed comprehensive drill program focused on discovering near-term mineable resources and the large-tonnage Source of the high-grade silver currently being mined. 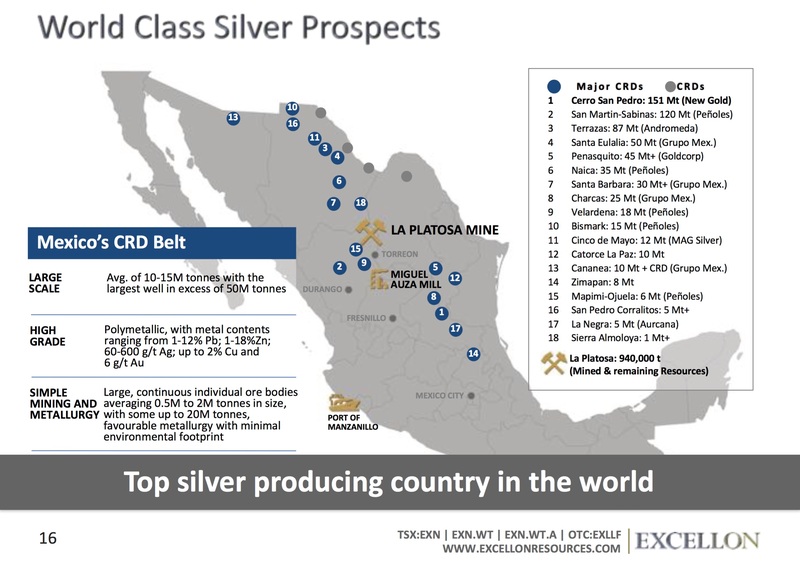 This discovery has the potential to transform Platosa into the next major project in Mexico’s prolific CRD/silver belt. Based on similar style deposits, the Source of the Platosa mantos is likely to measure 10-15 million tonnes, or even in excess of 100 million tonnes with significant amounts of gold, along with silver, lead, zinc and copper – a hundred-fold increase over the one million tonnes of resource mined and defined at Platosa thus far. The Company has already made a discovery approximately 1km from the mine that may very well be the edge of that much larger deposit.